Last time we saw the all-new Audi Q7, the mechanical hardware was hiding in the suit of the all-old current model. Now, the next-gen version is out testing in the wild, ahead of an expected late 2014 reveal and UK sales in early 2015. Is the new Audi Q7 worth waiting a year for? The Q7 needs some big tricks up its sleeve to claw back ground lost to the just-released BMW X5, new Range Rover Sport, plus deadly new posh SUV rivals from Jaguar and Volvo. Audi is thought to be pinning its hopes on a raft of weight-saving measures, turning the bloated current Q7 into a proper sports-utility vehicle capable of out-pointing the best Chelsea tractors from Britain and Germany. 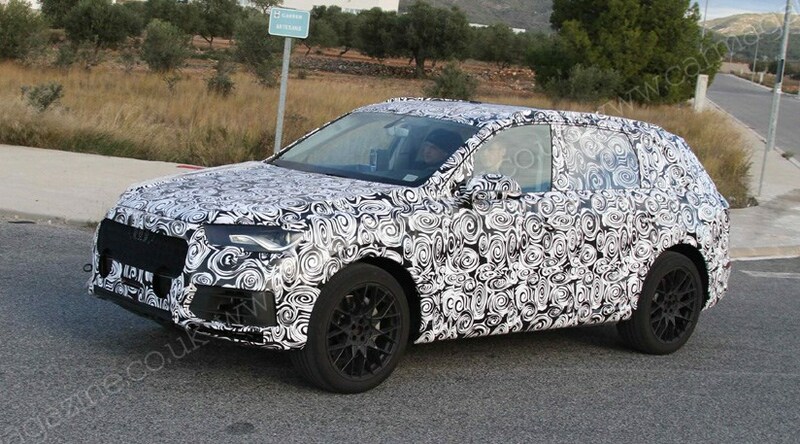 As you can see from these spy shots, the Q7 isn’t shedding the pounds by downsizing. In fact, with that boxier roofline to better accommodate third-row passengers, the new Q7 looks even more of a leviathan that the current car. Under the skin, it’s a cocktail of weight-saving materials that’ll fight the flab, using know-how from Audi’s ‘ultra’ project, which we saw earlier in 2013 with the featherweight TT Ultra Quattro concept. The new car’s PL73 platform is still predominantly steel – 60% in fact – with the remaining 40% is made up of aluminium that’s been bonded with superlight carbonfibre pieces. It’s possible Audi could also use a composite tailgate and front wings to shave vital kilos. Overall, the 2015 Q7 is touted to drop 350kg versus the current model, which weighs 2300kg in top-selling 3.0 TDI guise. A new BMW X5 in comparable xDrive 30d guise is 2145kg. What are the new Q7 engine headlines? Audi is following the lead of BMW and Mercedes by adopting four-cylinder diesel power for its entry-level large SUV model. The 2.0 TDI should develop more than 200bhp and 300lb ft, competing head-on with the Mercedes ML250 and BMW X5 sDrive25d. More powerful engines will be shared with the mooted Audi Q8, a flagship luxury crossover slated for 2016. The purported powerplants are a 301bhp petrol-burning V6, a torquier 272bhp V6 turbodiesel, and a 400bhp V8 TDI. The new Q7’s pricing is expected to remain consistent with the current Q7’s £43,000 to £62,000 ask. What about a hot S or RS Q7?